Wary or reserved around strangers. 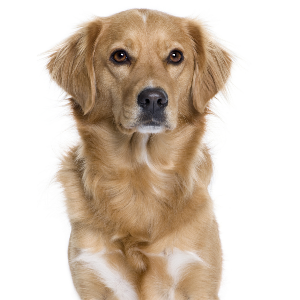 Quite food motivated, but may be easily distracted so training sessions should be kept short or varied. 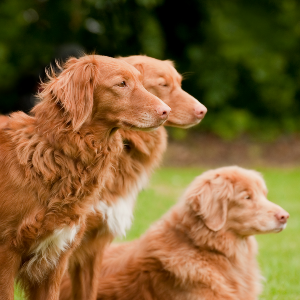 Nova Scotia Duck Tolling Retrievers enjoy dog sports such as flyball, hunt and field trials, agility, tracking, and obedience. 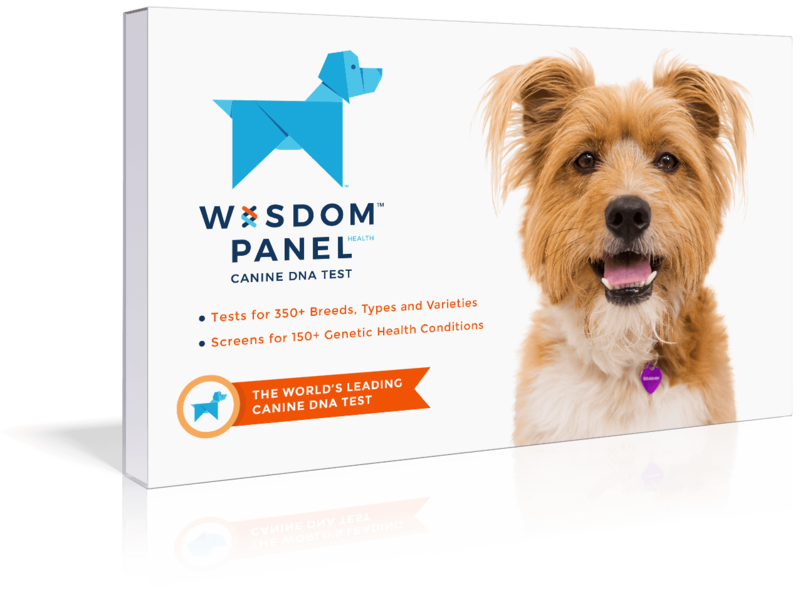 These smart and affectionate dogs possibly have the most fabulous breed name ever. 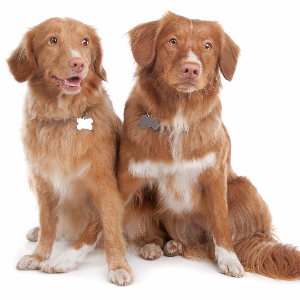 Nova Scotia Duck Tolling Retrievers are originally from Nova Scotia, back in the 19th century. 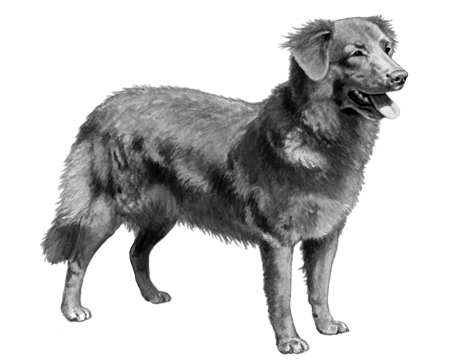 They were bred to be gundogs, but with one special difference. 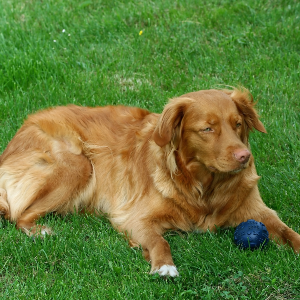 Unlike traditional retrievers who waited for the bird to be shot, these dogs like to ‘toll’. Tolling means they play and frolic along the shoreline, while completely ignoring nearby birds. Eventually, the birds become curious and they come forward for a closer look. Which is exactly when the hunter, hidden in a blind, takes their surprise shot. Unique name and unique skills. 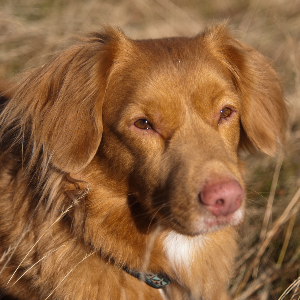 The affectionate Nova Scotia Duck Tolling Retriever really is one of a kind.